Dr. Amanda Rae Kronquist DDS, MS earned a Bachelor of Science at Bucknell University in 2010, a Masters of Science in Biomedical Science Policy and Advocacy at Georgetown University in 2011, and a Doctor of Dental Surgery at Arthur A. Dugoni School of Dentistry at the University of the Pacific in 2015. Dr. Kronquist has further training in Endodontics and Periodontal surgery, and has completed a Master Clinician Program in Implantology. She is on the Alumni Association Board of Directors for Arthur. A Dugoni School of Dentistry, and she is a member of the American Dental Association, California Dental Association, and Orange County Dental Society. In her practice, Dr. Amanda Rae Kronquist DDS, MS focuses on patient education. 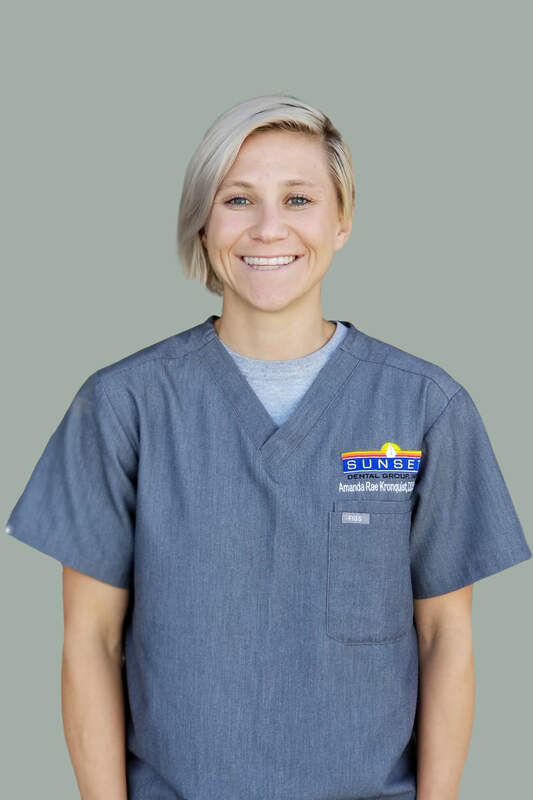 Her treatment philosophy is anchored in patient-centered, minimally invasive, comprehensive dental care that utilizes the newest research-based techniques and technology to create a comfortable and enjoyable experience for her patients. When she’s not busy creating healthy and beautiful smiles, Dr. Amanda Rae Kronquist DDS, MS enjoys training for triathlons, geocaching, travelling, and spending time with her four fur babies (two dogs and two cats) and wife.